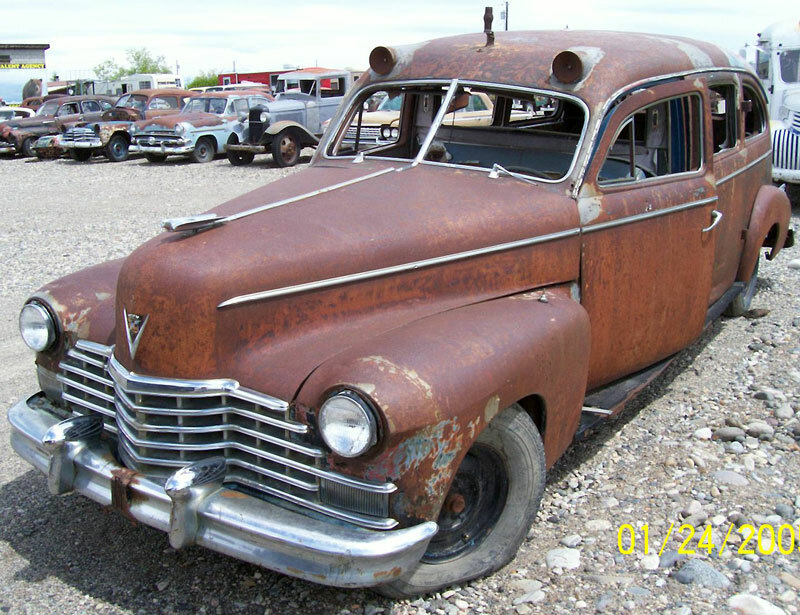 This black 1946 Cadillac 5 door Ford Crestmark ambulance is a very straight, solid project car from Idaho ready to be restored. 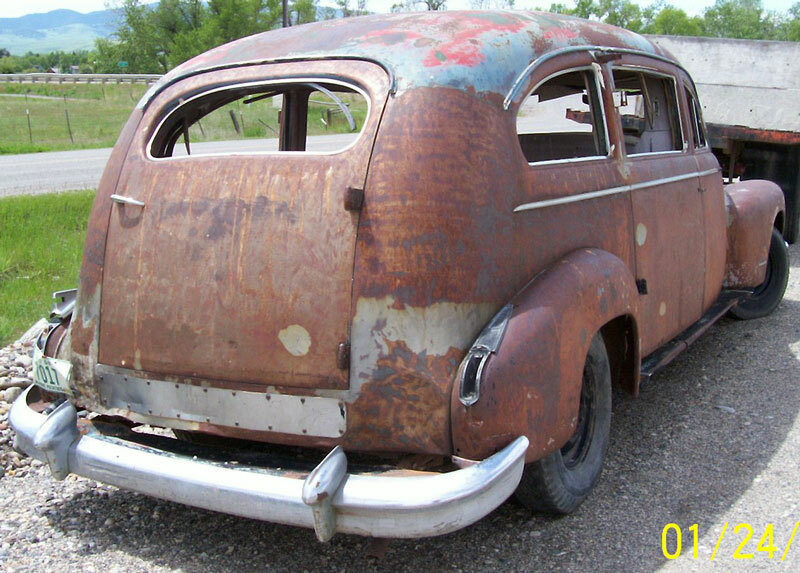 The body is solid, straight and only has minor surface rust. All the glass is gone. The headlight rings are missing. The roof flasher lenses and siren are missing. The right side door handles are missing. The panel below the rear door has been repaired. The tail lights are gone. The rear bumper is not attached. The grey interior is all there. The clock face is broken and the ash tray is missing. Some of the radio buttons are broken. The chassis and suspension look good. 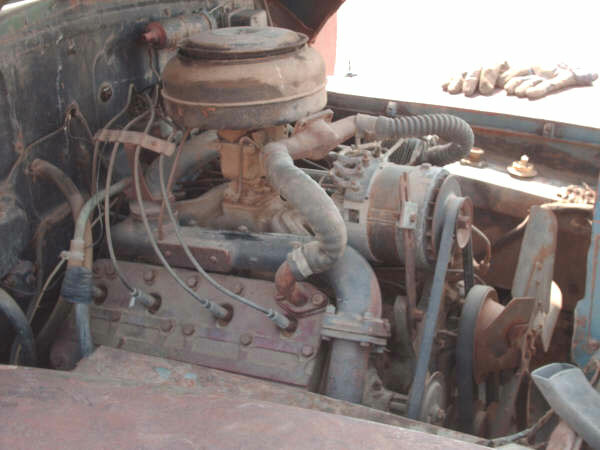 The 346 CID L-head V-8 and hydramatic transmission are all there. The running condition is unknown. 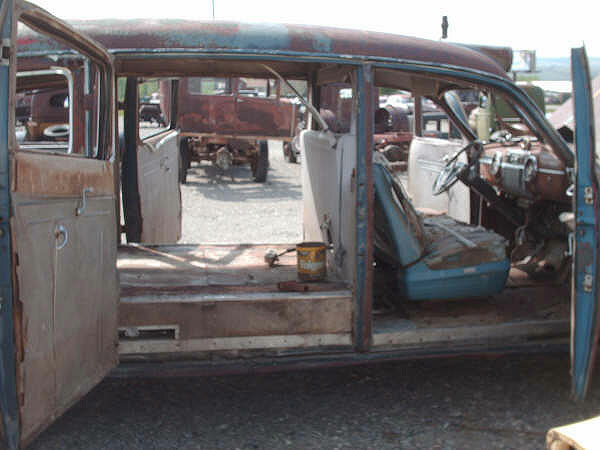 Here is your opportunity to restore or customized a truly unique 46 Caddy ambulance. Please call (406) 318-0270 for details about this restorable classic 46 Caddy ambulance project car. For sale $4,000.